Welcome to Great Lakes Machine & Tool Company, a division of DATECH, Inc.
Great Lakes Machine is North America's fastest growing distributor of quality Metal Fabricating Machines, Tools and Services. Great Lakes Machine & Tool Company was formed in April of 2008 and has been growing steadily ever since. We want to be the “go to” source for all your metal fabricating needs. 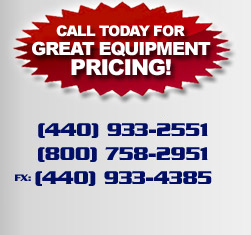 Great Lakes Machine & Tool Company is a full-service Sales and Service Company dedicated to providing you with the highest quality, lowest prices and overall best value available anywhere. Great Lakes Machine & Tool Company is located in Avon Lake, Ohio. Great Lakes Machine & Tool Company specializes in the sale and service of high quality Metal Fabrication Machines & Tools. We are focused on quality products and excellent customer service. If you have any questions, or if we may be of service in any way, please do not hesitate to contact us. We respond to all Quote Requests within 24 hours. Click Here to Request a Free Quote!